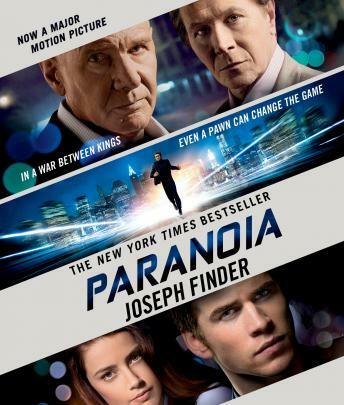 By the New York Times bestselling author Joseph Finder, Paranoia is an exciting thriller set in a post-boom 21st century economy. Now a major motion-picture starring, Harrison Ford, Liam Hemsworth and Gary Oldman. I enjoyed this book very much. Joseph Finder is a good storyteller. Paranoia held my interest throughout and had the right ending: a nice twist and something to think about. Glad I chose this book! A nice story, but somewhat predictable. Only 4 CDs long, yet it is not an abridged version. I thought the ending was very weak. I would only recommend it you have nothing else on your list. The book started off very fasr but I was bored by the end.It continued to drag on and I was not impressed with the ending.